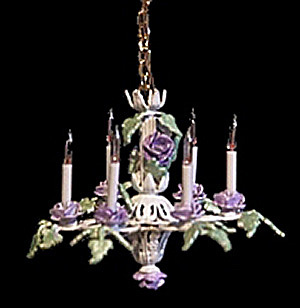 This Chandelier is Very Different. 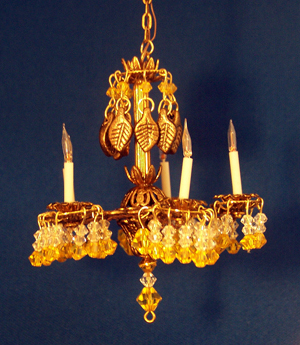 The Bronze Finish is Enhanced by Pale Topaz and Clear Crystal Swarofski Crystals and Hanging Bronze Finish Leaves. Would be Nice in an Elegant Kitchen or Dining Room.